Free Shipping Included! 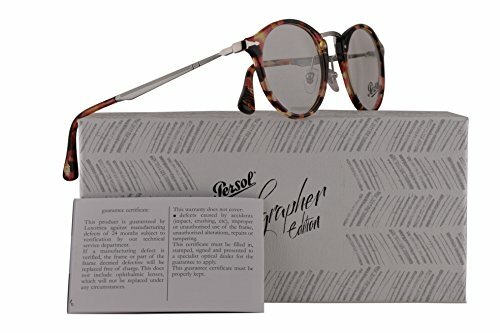 Persol PO3167V Calligrapher Edition Eyeglasses 47-22-145 Rose Brown Yellow Havana w/Demo Clear Lens 1059 PO 3167-V PO3167-V PO 3167V by Persol at Laurenee Lifestyle. Hurry! Limited time offer. Offer valid only while supplies last. Persol is a brand that marries culture of excellence and attention paid to details to create a perfect alchemy between aesthetics and technology.